“Science is not, despite how it is often portrayed, about absolute truths. It is about developing and understanding of the world, making predictions, and then testing these predictions.” – Brian Schmidt. 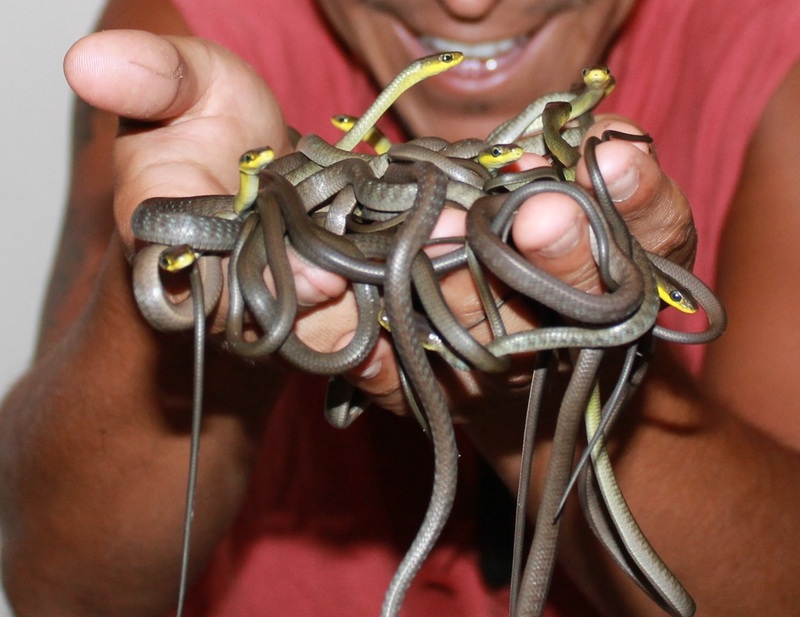 Why does Australia have so many species of snakes? Where did they all come from? And when? All good questions, for Australia not only has an amazing diversity of fauna but a surprisingly scarce fossil record of vertebrates due to it’s ancient geology. Much of the history of Australia’s snakes is known through infrequent paleontological discoveries of single vertebra or segments of dis-articulated fossils, rarely whole specimens, however modern molecular methods, improved taxonomy and phylogenetic techniques have greatly improved our understanding. In this, the first of three rant-icles, we’re talking orgins. If we are to understand the origin of Australia’s unique diversity of snakes, we need to put things into context and look at the history of snakes as a whole. So let’s begin with the obvious question; where did snakes come from? Specifically, what other lineage of reptile do they share the most recent common ancestor with, and when did these two groups separate? Within the animal kingdom you find the Phylum Chordata, within which you will find the class of animals known as Reptilia, the reptiles (extended to Sauropsida with the inclusion of birds, a discussion for another time). By modern taxonomic standards, snakes, along with lizards, belong in the reptile order Squamata, the scaled reptiles, bearing scales on all parts of the body, as well as movable quadrate bones at the base of the skull allowing for articulation of the upper jaw. The Squamata can be divided into 6 subgroups; 5 types of lizards, and the Ophidia, derived from the Greek “Ophis”, meaning snake. However “true snakes” as we know them, are a suborder in their own right, the Serpentes, which includes all the known living elapids, vipers, colubrids, pythons, boas, sea snakes, and the lesser known pipesnakes and blindsnakes. Simple enough to remember right? Don’t stress too much, just know that the Ophida (all snakes, including several extinct groups), are most closely related to lizards. We know this from scales, quadrate bones, hemi-penile morphology and more, including by comparing genetic differentiation between groups. For our purposes, lets deal with the first known Ophidia, then deal with the emergence of the modern serpents later. Around 95 million years ago, a population of the most primitive known “snake” had diverged from a lizard-like common ancestor and was alive on the planet Earth. These were the Pachyophiidae, a now extinct family of snakes, with broad, thick ribs which stuck out horizontally from the vertebrae, ending in a rapid curve, obviously a laterally compressed animal with highly ossified vertebrae, presumably an adaptation to aquatic life. This family, discovered in Mediterranean rock deposits by Franz Nopsca in 1923, was quite a surprising discovery to reptile taxonomists at the time. With so many snakes and legless lizards alive today, the origin of snakes had been attributed to a variety of sources and lifestyles, however most agreed that since the majority of snake families have a terrestrial, burrowing group, and since the majority of animals losing their legs is due to life underground, that the ancestral snakes were probably small, terrestrial, burrowing animals, either related to the legless lizards (which in fact are closely allied with geckoes) or other legless reptile groups, such as the worm-like amphisbaenians. Thanks to the rare and hard fought fossil discoveries such as the Pachyophiidae, scientists have shown that the ancestral snakes most closely resemble the Lanthonotus genus, now-extinct marine lizards most closely related to the Varanids or monitor lizards, which we here in Australia call goannas. Far from being small, tube-like worm analogues, it seems snakes first appeared as approximately 1 meter long legless marine monitor lizards, fast moving predators, their jaw articulation indicating they most likely constricted large prey, similar to modern pythons and boas but aquatic! The first terrestrial snakes followed shortly after, adapting quickly to life on land. These first land snakes, the Madtsoiidae, appeared in what would become northern Africa around 90 million years ago and survived for a long time before, I presume, being out-competed or facing some environmental change (conjecture baaaaad!). The Madtsoiidae were, for a time, the most successful and diverse snakes to exist, spreading far across the land, adapting and evolving into various species, such as the colossal Giagantophis species, growing to over 9 meters. By the end of the Cretaceous period around 66 million years ago, they had spread within Gondwana as far as South America, Madagascar, Spain, and India. They continued to spread, surviving into the late Pleistocene, during which time they inhabited ancient Australia. The last known Madtsoiidae to exist were the two species of the Wonambi genus, Wonambi naracoortensis and Wonambi barriei with fossils from South Australia dating back to as recently as around 50 thousand years ago, well into the age dominated by modern snakes. The Wonambi were large, python like constrictors were up to 6 meters long, ambushing wallabies and other small mammals, often around waterholes. These were the last of the ancient megafauna snakes; big, robust predators very similar to the modern boas, anacondas and pythons which we see today. The pythons, boas and anacondas, however, arrived much after the Madtsoiidae, with the rest of the modern snakes, the suborder which we call the Serpentes. It is these modern snakes we will be talking about in A Brief History of Australian Snakes Part 2 – The Rise of True Serpents. If you have any questions, comments, or adjustments to my understanding please feel free to comment or message me and I’ll try to address them as we go. Visit our page today. Your Snake Catcher.